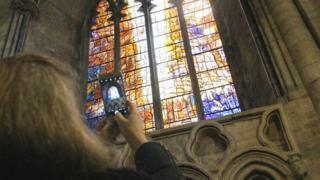 A ban on taking photographs inside Durham Cathedral is set to be lifted. Taking pictures has been prohibited in order to protect "peaceful worship" at the Anglican cathedral. However, starting on Friday, visitors will be allowed to snap away inside large parts of the 920-year-old building. Canon chancellor Charlie Allen said social media meant many visitors wanted to share their experience of visiting the cathedral. 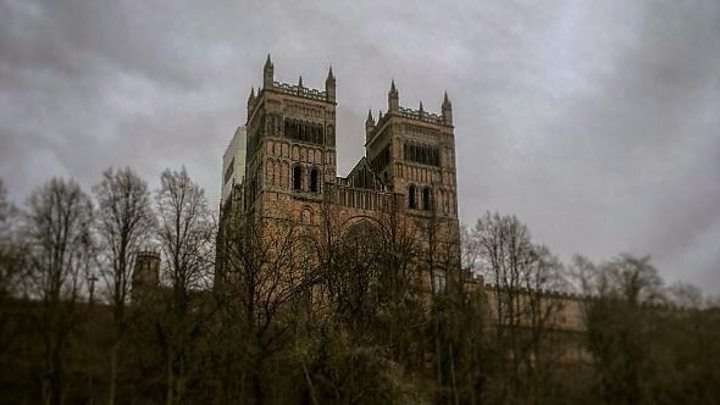 She said: "It is important for us to reflect that we are a living, working, progressive place of worship, with many visitors wanting to create lasting visual memories of their time at Durham Cathedral." A spokeswoman said some areas, such as the Gregory Chapel, would remain photography free to protect worshippers' privacy. The cathedral is marking its policy change by holding a photography competition. Permits are still necessary for commercial photography. Building work on the cathedral began in 1093 and took about 40 years to complete. The body of St Cuthbert is enshrined in the cathedral as is the tomb of the Venerable Bede.